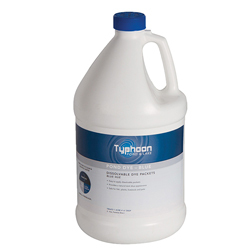 Whether you prefer liquid or solid, easy to apply dissolvable packets, Typhoon Pond Dye shades the water to eliminate plant growth below the surface. Available in both blue and black, dye can be mixed to create your own favorite shade. Safe for fish, plants, livestock and pets.